Chrome is getting more unwanted software warnings. Not what you want to see, but better to see this than have your computer compromised. One of the hard things about browsing the Internet safely is that everything looks fine. If a website has glaring inconsistencies or is oddly clunky, you’ll quickly navigate away, but for the most part it seems like smooth sailing. And that’s exactly how cybercrooks want it. Google isn’t satisfied with this situation, though, and you shouldn’t be either, so the company is building tools into Chrome to flag suspicious software and let you know. 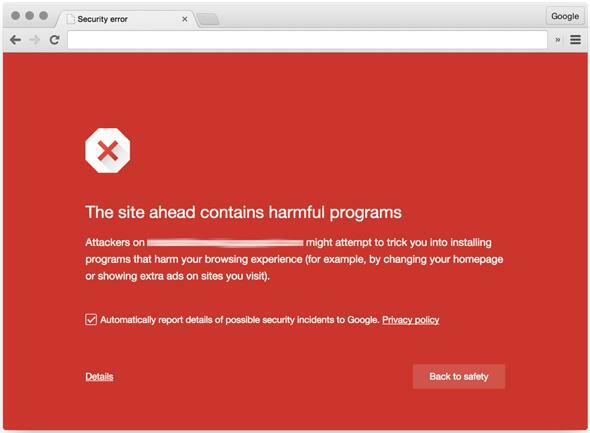 Chrome’s Safe Browsing features attempt to detect shady websites as you’re browsing and call your attention to them. The project expanded into software last August with download warnings, and now Google is making them much more prominent and expanding its definition of “unwanted software” to catch more of the malware and phishing scams that are always lurking on the Web. The program is particularly expanding its monitoring on advertising distribution networks and software. These services can be exploited to transmit hidden malware or may be corrupt themselves.